The comprehensive line of adult dog food from iVet is precisely balanced and formulated to meet the varying nutritional needs of a wide range of sizes, breeds and lifestyles. Because a dog’s nutritional needs depend on a number of unique factors, it’s important to find food that optimizes health at any adult age. 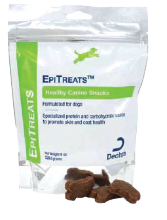 Enjoy 5% off on your preferred pet food products. 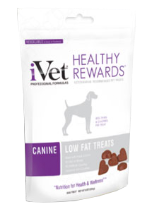 iVet offers a line of therapeutic foods. Okay, so maybe we’re close to turning 20 and so we want to make sure we remain vibrant and fresh. Maybe we’re obsessed with creating intuitive, easy-to-navigate user experiences for our customers ­– you. Maybe we just like new, shiny things. I've Heard Something About Grain-Free and Heart Issues in Dogs. What Do I Do? In July 2018, the U.S. Food and Drug Administration (FDA) alerted pet owners and veterinary professionals about reports of canine-dilated cardiomyopathy (DCM) in dogs eating certain pet foods containing peas, lentils, other legumes, or potatoes as main ingredients. These cases were unusual because DCM was reported in breeds not typically associated with the disease. We’ve all got that go-to pack of gum or tin of mints that we can turn to in a pinch, right? That’s because – for all of us – having good breath is an important part of everyday life. But what about your pet(s)? What should we do about their breath? Their dental health?